New Delhi: The Enforcement Directorate (ED) on Friday imposed a penalty of Rs 14.4 lakh on Jammu & Kashmir separatist leader Syed Ali Shah Geelani for illegally possessing foreign exchange of around $10,000, reported ANI. The ED issued an order on Wednesday under the Foreign Exchange Management Act (FEMA) and confiscated foreign exchange of $10,000 allegedly recovered from Geelani, officials said. A similar proceeding against another separatist Yasin Malik, former Chairman of Jammu Kashmir Liberation Front, is also underway. The ED would be imposing a penalty and would also confiscate foreign exchange recovered from Malik. On Wednesday, a Delhi court had allowed the agency to quiz Geelani’s son-in-law Altaf Shah and others in connection with a terror-funding case involving Lashkar-e-Taiba chief Hafiz Saeed. 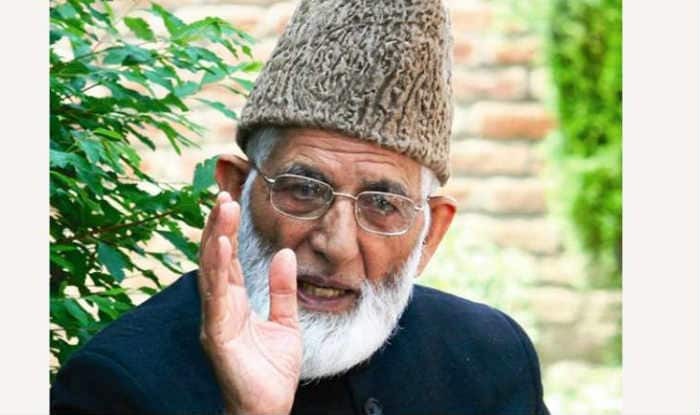 Both Geelani and Malik are among those separatist leaders who never had a security cover while that of others was withdrawn last month following the Pulwama terror attack. Reacting sharply to Jammu and Kashmir government’s decision, the Hurriyat Conference said they had never sought security in the first place. Notably, the Jammu and Kashmir administration has issued orders to withdraw security of five separatist leaders, including Mirwaiz Umar Farooq in the aftermath of deadly Pulwama attack that claimed lives of 40 CRPF personnel on February 14. Besides Mirwaiz Umar Farooq, security cover to Abdul Gani Bhat, Bilal Lone, Hashim Qureshi and Shabir Shah was withdrawn. “The government decided on its own to provide security to separatist leaders which was never demanded in the first place,” one of the five separatists leaders, said in a statement.